We woke up to some bad, bad news this morning. SPYY, makers of some of the most underrated but consistently awesome performance yoyos, is closing up shop. SPYY came on the scene in 2003 with the Saturn Experiment, an attempt to produce a high-end yo-yo that can handle multiple string layers (bind-style) around the axle without stopping or returning to the hand. 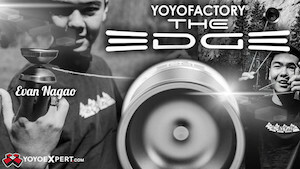 In 2005 the first high-end consumer yo-yo was produced, the Saturn Radian and it went on sale on eBay in early 2006. The first run sold out quickly, with a huge interest from the market. For the time, the yoyo was one of the smoothest competition throws available and players quickly became obsessed with what would be next from this small Canadian company. From there they produced the Addict, a more rounded profile throw, that expanded their fan base considerably. As their following grew, they began acquiring a team that would eventually include Guy Wright, Ed Haponik, Alexis JV, Nate Sutter, Sebastian Brock, Gary Longoria, Lilia Markham, Joey Fleshman, and Devon Jackson. Recently produced models include the excellent TMBR x SPYY EH, Dynamo, and Amplifier. 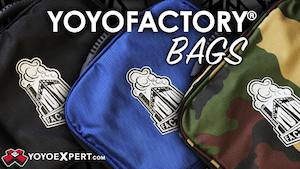 SPYY’s remaining stock has been shipped off to YoYoExpert, and if you were ever on the fence about picking one of their models up we recommend you grab one now. Below is an excerpt from the email that SPYY sent out to their team and a few friends…and we’d like to personally thank Steve Buffel and his wife Suzanne for everything they’ve done for the industry and the community. You couldn’t possibly imagine a pair of more wonderful people, and while we’re sad to see SPYY go away it’s reassuring to know that at least we’re just losing some yoyos, and not some friends. Thanks for everything, SPYY! Thanks for taking a chance on us and our little yoyo company. Suzanne and I tried to push it to a full time carrier a while back, but I melted my soul in the process. I wish you all the best and you have our blessings and full support to pursue yoyoing however you feel it suits you best. Thanks and please stay in touch. We’ll see you around.